Westview’s wide open spaces present our boys with many opportunities to discover the wonders of God’s creation. Westview owns 1,500 acres of farm and ranch land in Harmon County and uses the revenues produced by this land to help pay for the care of our boys. During the spring, our boys are given an opportunity to plant gardens. From time to time, they choose to raise tomatoes, cucumbers, okra, squash, watermelon, and a host of fruit and produce items. Then throughout the summer months, they enjoy the fruit of their labor. With fertile soil and tender loving care, their gardens bring forth a bountiful harvest. While Westview provides a ranch environment at which boys can grow, part of our property is used for farming as well. Cotton, wheat and hay grazer are the three main crops grown on our campus. While the hay grazer is used to feed our herd, the wheat and cotton are sold at market. There are two large farms on our campus: the Molloy Farm, and our North Campus farm. Donated by the Molloy family, the Molloy farm has long been one of the most productive cotton farms in Harmon County. Portions of it have also been planted with oats, hay grazer, and alfalfa. These grains and hays have been used to feed the livestock that is on campus. 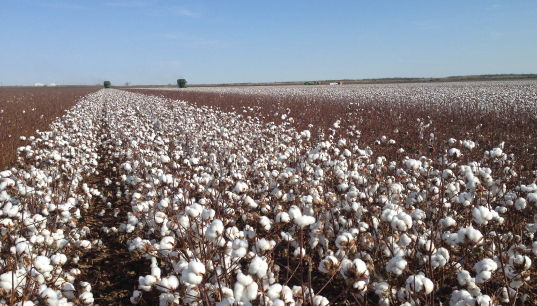 There are two cotton fields on the farm totaling 170 acres, both of which have subsurface drip irrigation systems. This is a much more efficient and ecologically responsible approach to farming this land. Our farms are leased to a local farmer in order to maximize the return on the land and minimize the Home’s investment in expensive farming equipment. The boys are active in hauling hay, tending fences, clearing brush, and other important jobs. This farm helps our boys develop an awareness that humanity has a God-given responsibility of stewardship for the land. In the past, a substantial portion of the 560 acres of the north farm was used to grow cotton and peanuts. 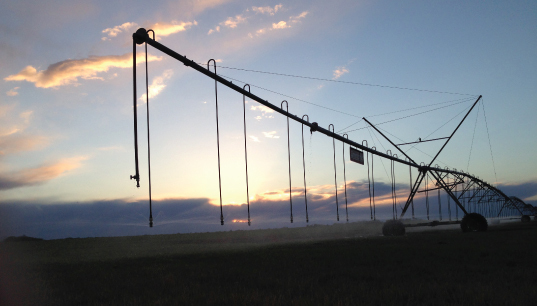 In 2000, several water wells were dug and a 160-acre irrigation pivot was installed to maintain an adequate supply of grass and alfalfa for our cattle operations. The north farm is adjacent to both our pecan orchard and our ranching operations.